This is a beginner’s chess learning and training guide embedded with a workbook. This book is filled with innovative learning and teaching methods using various activities, puzzles, mini games, quizzes, crosswords, etc. This book also includes several facts and historical information about the game of Chess. This book on chess is a good “Starter” for any student wanting to learn the “Royal Game Of Chess”. This book helps to explore the unexplored areas of the game. The questions and mini games are excellent resources. The author has meticulously planned the topics and it shows. 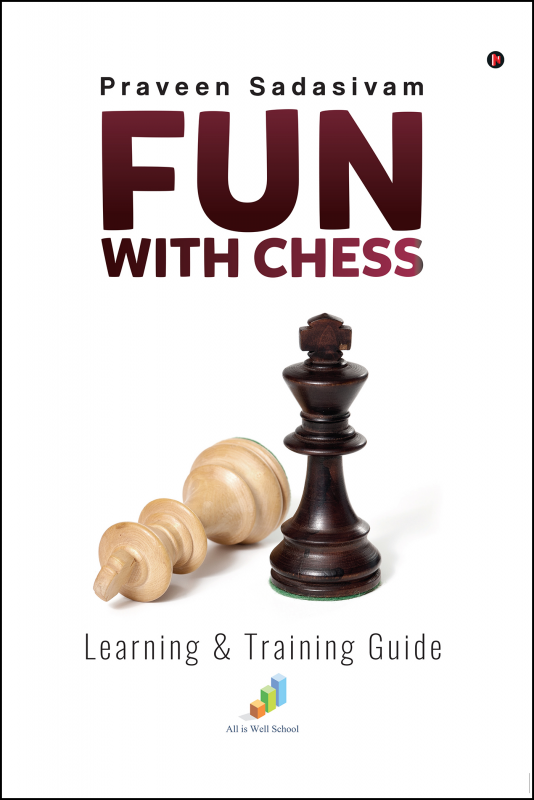 I am sure that it would be a worthy resource for all students, coaches and parents of budding chess players. Praveen Sadasivam got his M.Tech from IIT Madras. He has been very much interested in Chess since his childhood days. He is a certified chess coach and runs his chess coaching center, “All is Well School of Chess” since 2013. He has conducted several chess tournaments. He has been with software industry since 2002 and was also a Project Management Professional (PMP) certified professional. He has attended and conducted several training sessions on project management, leadership and soft skills. He is also a certified “Acu Touch” healer.